With the passage of the game-changing 21 Century Cures Act (enacted Decemeber 13, 2016), the use of adult stem cell therapy in the United States has finally been authorized. The regulations of course will take time to develop, and here, over two years later, small steps in regulation are still being taken…but being taken they are. The whole environment, once so opposed to the very idea of Adult Stem Cell Therapy, has now changed. The new bell to ring in the Halls of Congress that I had always hoped for has now rung! The most important thing we can all learn is how the terminology for adult stem cell therapy has also changed, and why this change is so important. In fact, it will take us some time to modify all of our courses, but we will be emphasizing the treatment term “Mixed Cell Regenerative Medicine” and de-emphasizing the term “adult stem cell therapy”. The new blanket term for adult stem cell therapy is now “mixed cell regenerative medicine”. And this makes a lot of sense. When blood products containing stem cells are harvested from a patient, whether it be from bone marrow, blood, fatty tissue liposuction, or even from the placenta of newborns, we never have a uniform cell type or even one kind of cell. 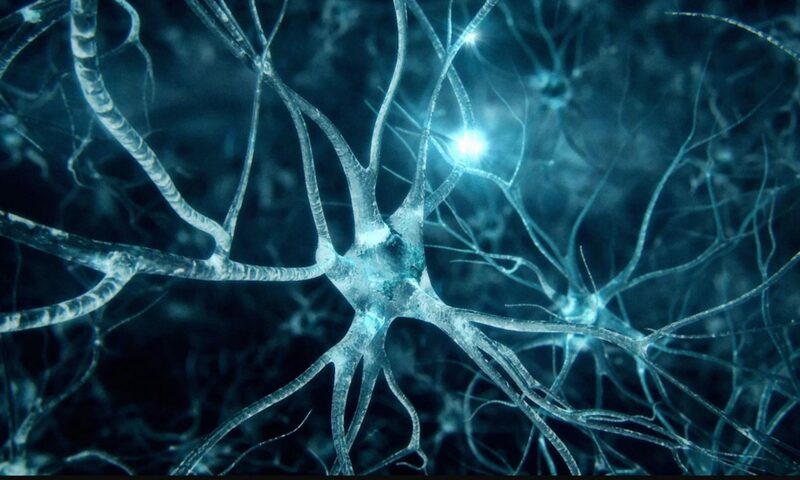 Rather we have stem cells, various kinds of progenitor cells, blood cells, a mix of platelets, endothelial cells, proteins, messenger molecules and a whole host of biologicals that make up the now popular “stromal vascular fractions” and “platelet-rich fractions” that are currently being used in therapy. Calling the use of these fractions “stem cell therapy” has probably been erroneous, and I am only sorry I myself did not appreciate this until now. We have at our College properly recognized that serum factors, messenger molecules, endothelial cells, cytokines and many other biological compounds which stimulate and activate stem cells may be more important to therapy than the stem cells themselves. This concept followed the very important “paired mice experements” which demonstrated that it was young mouse serum factors, not stem cells that facilitated the repair of damaged tissue in the old mouse. But we digress. Bottom line: the term “Mixed Cell Regenerative Medicine” is so much better a description of the biological “soups” that are so effective in patient therapy today. Are stem cells the major component? Yes. But they are not the only component and possibly not even the most important component. Let’s take a look at this amazing 21 Century Cures Act, possibly the most important Act that has come along for patients in a long long time. It’s focus is on Patients, not drug companies, not the FDA, although the FDA must comply. (1) Patient Focused Drug Development: For the first time ever, we see a whole section titled: Patient Focused Drug Development (§ 3001), demonstrating that the entire future tenor of FDA regulation must keep the patient, not the drug companies in mind. (2) Patient Experience Data: The FDA must specifically consider “patient experience data” in assessing the prorpriety of new treatment with biologicals and specifcally must consider “methodologies, standards, and technologies to collect and analyze clinical outcome assessments for purposes of regulatory decision making”. This means that standard “clinical trials” are NOT necessary to establishing the usefulness of a new therapy, rather only objectively based patient experiences are required, which seems to suggest that “patient specific” testing is all that is needed. § 3002. (3) Novel Clinical Designs are needed for biologicals and especially the directive to develop novel clinical trial designs for “biological products”. (4) Patient-Specific Clinical Trials, where a single patient receives a therapy and then is monitored before and after, are specifically authorized, not as an “exception” as before, but now as the main stream technique for evaluating mixed cell regenerative medicine-i.e. adult stem cell therapy. Measurements of “a physiologic, pathologic, or anatomic characteristic or measurement) that is objectively measured and evaluated as an indicator of normal biologic processes, pathologic processes, or biological responses to a therapeutic intervention” are encouraged, with emphasis on “patient reported outcome… measurement based on a report from a patient regarding the status of the patient’s health condition”. § 3011. (5) Patient Experience Data to support adult stem cell therapy can be offered by anyone, not just drug companies: Tha Act “includes data that are collected by any persons (including patients, family members and caregivers of patients, patient advocacy organizations, disease research foundations, researchers, and drug manufacturers… and are intended to provide information about patients’ experiences with a disease or condition, including the impact of such disease or condition, or a related therapy, on patients’ lives; and …patient preferences with respect to treatment of such disease or condition.’’. § 3002. (6) Real World Evidence. Use of global data is REQUIRED to be considered to determine the benefit of adult stem cell therepy. Finally, all the data from the global stem cell treatment centers is required to be recognized and utilized in determining the appropriateness of adult stem cell therapy. § 3022 requires the FDA to establish a program “to evaluate the potential use of real world evidence”, where real world evidence “means data regarding the usage, or the potential benefits or risks, of a drug derived from sources other than randomized clinical trials”. 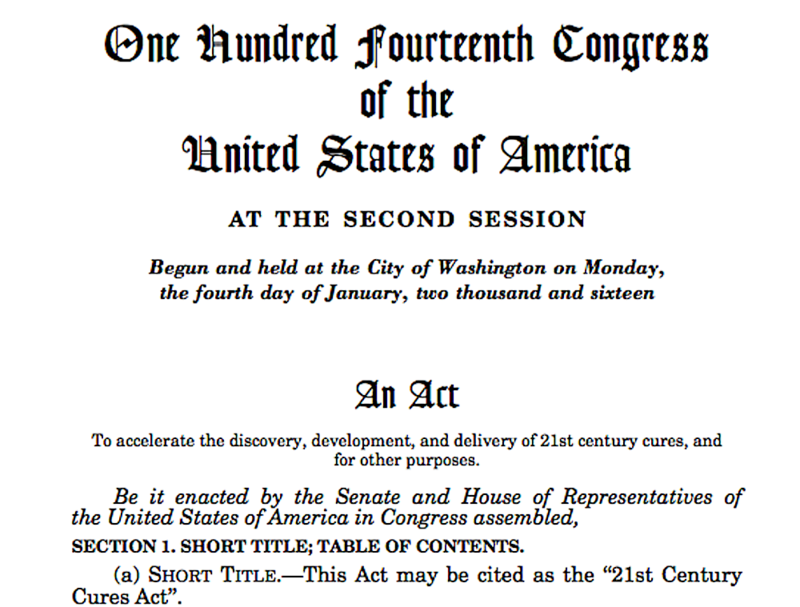 Summary: The 21st Century Cures Act provides a way forward for the rapid development of Mixed Cell Regenerative Medicine, an umbrella term for Adult Stem Cell Therapy. I am so happy that my home country will finally be joining the rest of the world in offering this “new medicine” to its citizens. Even now, many orthopedic physicians and others are using the stromal vascular fraction as well as the platelet rich fractions from fatty tissue liposuction to routinely treat various conditions. Mixed cell regenerative medicine is being used as well in various pain centers as an alternative to difficult surgical procedures or where the patient cannot afford or is not a suitable candidate for joint replacement or back surgery.